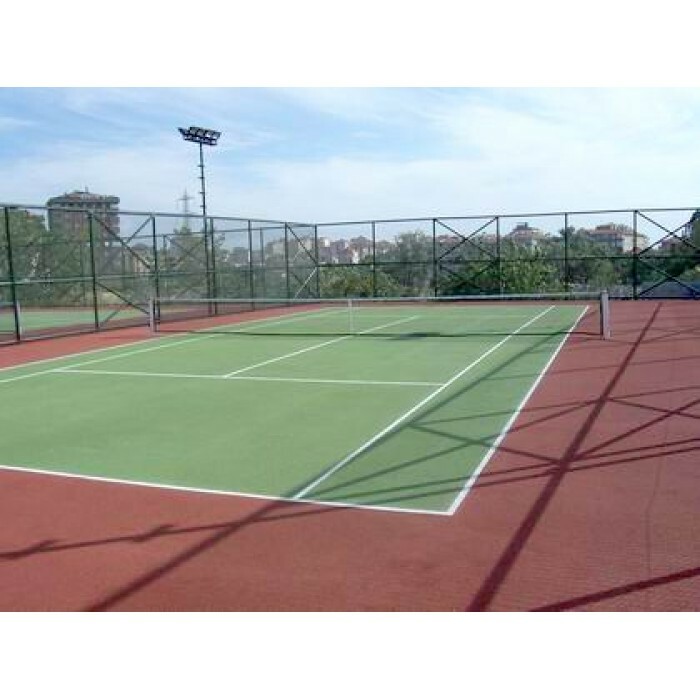 water-based paint with enhanced characteristics for tennis, basketball, and other athletic and recreational surfaces. They are formulated with silica sands, Cushion thin and thick to provide filling and strength under aggressive play. 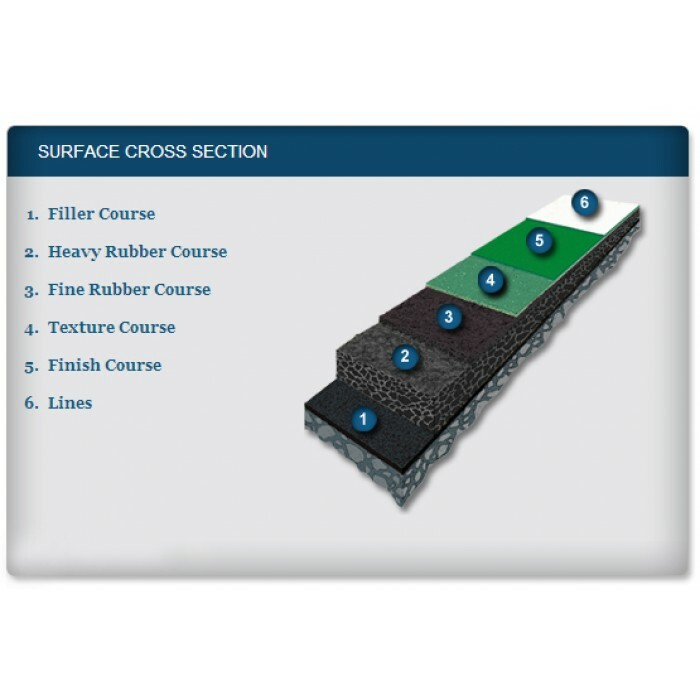 Umpire court surfacing systems also have to be durable under wet conditions and still maintain a tenacious bond to the pavement. 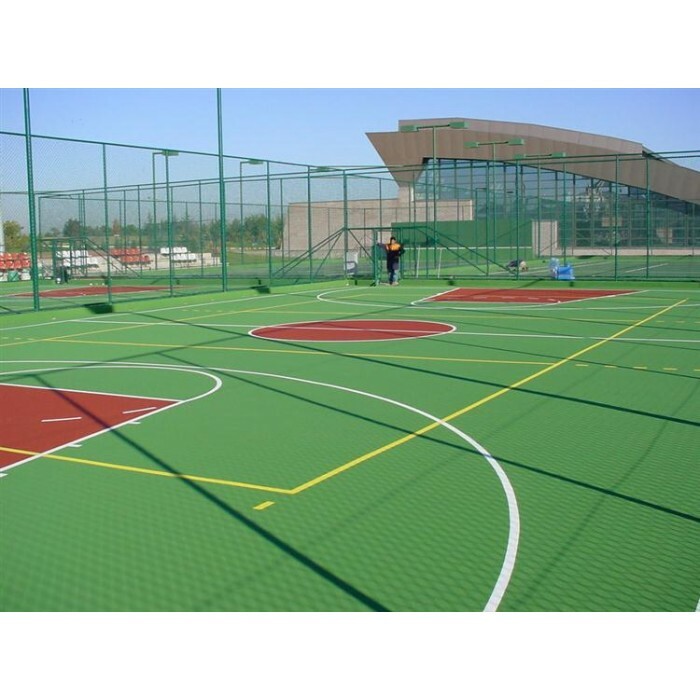 Umpire Court is an Acrylic Tennis and/or outdoor multi-purpose surface suitable for Professional Tennis Courts from entry to tournament-level and for outdoor multi-purpose fields.